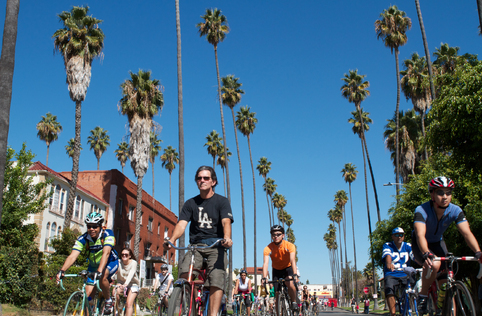 This Sunday’s CicLAvia: Heart of LA presented by Metro will be the first in a series of 12 events that Metro is funding through the Metro Open Streets Grant Program. 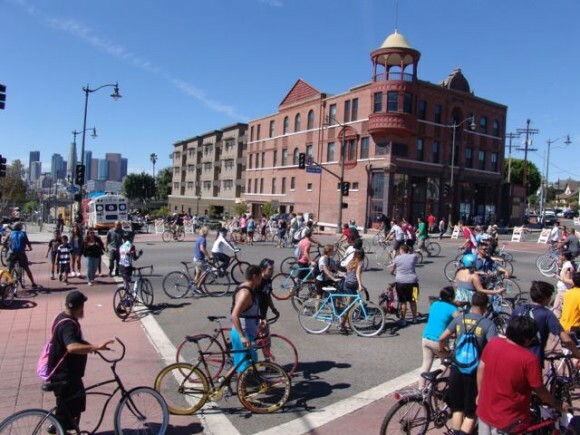 The Metro Board of Directors approved the Open Streets Program in September 2014, and is providing $4 million for “Open Streets” events in the next two years. 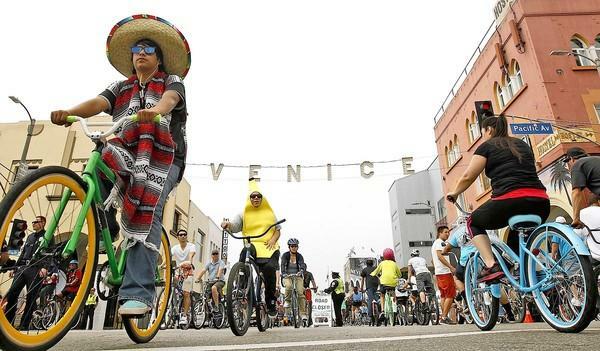 Open streets are events which temporarily close the streets to automobiles and open them up to people to re-imagine and experience their streets while walking, biking, rollerblading or pushing a stroller in a car-free environment. 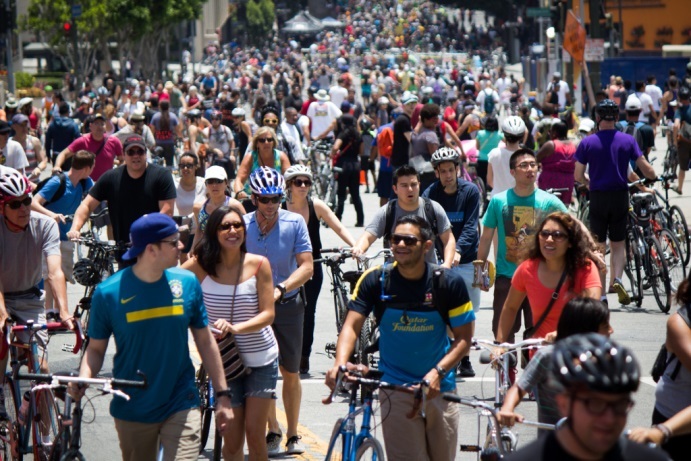 The goals of the program are to encourage sustainable modes of transportation (biking, walking and transit), provide an opportunity to take transit for the first time and foster civic engagement. Looks like a pretty boring event to me. On the contrary, it’s actually quite fun. That is, if you like to ride a bike or scooter around. It’s not exactly an iron man triathlon by any means, but it is enjoyable. 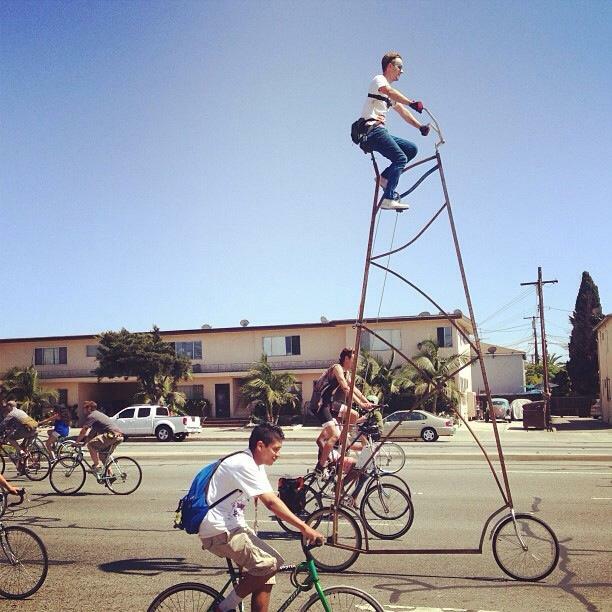 I just rode during today’s CicLAvia and there was a lot going on. Live music, food and miscellaneous stands along the way. It was a pretty good workout too.